BUENOS AIRES, Argentina – Argentina is running out of wiggle room in a billion-dollar showdown over foreign debts left unpaid since the country’s world-record default a decade ago, and the stakes couldn’t be higher for President Cristina Fernandez. 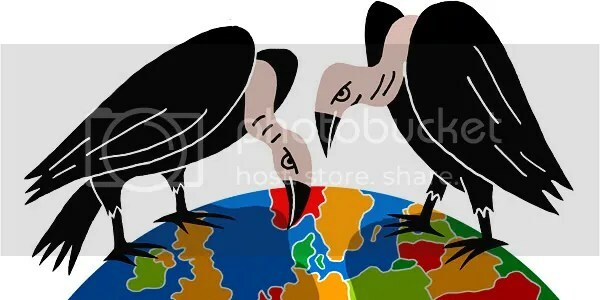 She risks triggering another historic debt default if she doesn’t agree to pay the so-called “vulture funds” she blames for much of Argentina’s troubles. Fed up with Argentina’s refusal to honor its debts despite losing in appellate court, U.S. District Judge Thomas Griesa in New York said he is determined to make Argentina pay at least something to the plaintiffs. His idea is to tap into the money Argentina already pays to other bondholders, by making banks that process the payments divert some of the money to the plaintiffs. U.S. financial institutions would become his enforcers, either helping to satisfy the judgment or “aiding and abetting” a crime. The unprecedented idea was broadly upheld on appeal last month and Griesa tried to push the case closer to resolution late Wednesday by lifting a legal stay, and issuing an order directing Argentina to make a first round of payments into an escrow account on Dec. 15, when the country is scheduled to make payments to the other bondholders. The idea has sent jitters through the legal departments of the most powerful financial institutions in the United States. The U.S. Federal Reserve and the Clearing House, a trade group representing the world’s largest commercial banks, warned that Griesa’s remedy could have severe consequences for the backbone of the U.S. financial system, which automatically moves an average of $2.6 trillion a day in half a million transfers between more than 7,000 banks. The plaintiffs dismissed the concerns, saying that the only bank at risk would be Argentina’s “paying agent,” the Bank of New York Mellon, which should be held responsible by the court if it doesn’t guarantee compliance. Still, the Federal Reserve’s filing pleased Fernandez so much that she cited it in a speech Monday night. “When an Argentine says something, the President of the Argentines or the economy minister, well, everyone comes out to criticize them, but now it’s (Federal Reserve Chairman Ben) Bernanke talking, honey, and everyone shuts their little mouth,” she said. As with so many other things involving Argentina, these debts date back to the bloody dictatorship that ruled from 1976-1983. The military junta tripled the country’s foreign debts. By 2001, the burden had become unsustainable and the economy collapsed. Argentina’s $95 billion default still stands as a world record. Sovereign debt is supposed to be paid no matter who runs a country, but Fernandez has always considered this defaulted debt to be illegitimate, forced onto the Argentines by dictators acting in concert with international financial speculators. She and her late husband and predecessor Nestor Kirchner, who took office in 2003, have never made any payments on the defaulted bonds. Instead, they offered new bonds paying less than 30 cents for each dollar owed in default, and by 2010, 93 percent of the original bondholders agreed to the swaps. The debt relief granted by these “exchange bondholders” enabled Argentina to climb out of a deep economic crisis, and many analysts have described it as a model for Greece and other debt-burdened countries to consider. Hold-outs led by NML Capital Ltd., an investment fund owned by U.S. billionaire Paul Singer, refused the swaps, insisting on payment in full plus interest, even though some bought the defaulted debt for pennies on the dollar after Argentina’s economy collapsed. Singer’s lawyers have traveled the world since then seeking to embargo Argentine assets, even getting its navy ship Libertad seized in Ghana as collateral. But they have never collected. The judge’s solution to all this is to force Argentina to pay the holdouts an equal amount each time it makes a payment to the exchange bondholders. This prompted an outcry from a group of exchange bondholders who collectively own $20 billion in the restructured Argentine debt. They said they “already suffered tens of billions of dollars in losses,” and that it’s not fair to harm their already diminished returns so that a few holdouts can earn up to 200 percent on their original investments. If allowed to stand, this kind of remedy will make it impossible for other countries to get critical debt relief, they argued. Argentina, meanwhile, has told the judge that its responsibility ends once it delivers the cash to the Bank of New York Mellon, which in turn pays the exchange bondholders. This bank, in turn, said it would suffer lawsuits from all sides if it did anything other than process the payments as intended. There was no immediate indication from Argentina’s government late Wednesday about how it would respond to Griesa’s ruling. The judge said he was taking the action precisely because of “inflammatory declarations” made by Argentine officials, who have vowed not to pay a cent to NML Capital Ltd.
“It is the view of the District Court that these threats of defiance cannot go by unheeded, and that action is called for,” Griesa wrote. Argentina is running out of options. Anything short of full payments could trigger holders of all sorts of Argentine bonds to demand immediate payment in full. Fernandez sought to calm matters, noting that Argentina has $45.3 billion in reserves and a much lighter debt burden than it did years ago. But if Argentina pays the plaintiffs the $1.43 billion they are demanding, Moody’s Investors Service said it could set a legal precedent for other holdouts who together claim nearly $12 billion in unpaid debts. A default, meanwhile, could put more pressure on an economy already suffering from capital flight and dangerously high inflation. Argentine debt is already rated by Moody’s as junk, so the government has few other places to turn for financing. The holdouts blamed all this “emergency litigation and anxiety” on Argentina’s “unrelenting bad faith,” and predicted that if it is finally given no other alternative, it will submit to the courts’ will. “There is no reason to believe — and common sense rejects — the notion that Argentina would harm its reputation and credit, and unnecessarily allow tens of billions of dollars of debt to accelerate, simply to avoid paying the plaintiffs $1.43 billion,” they said. Free-Market Analysis: Are Argentina’s top officials having second thoughts about their expropriation of Spain’s Argentine oil-producer? It would seem that way from the above news report via Merco Press. If the move was as wildly destructive as people think it may have been, then this posture would tend to confirm the idea that one of the world’s more powerful and influential states is simply spinning out of control. The results may be truly catastrophic, not just for Latin America but for the larger, struggling world. This boom may well be ending – or certainly growing long-in-the-tooth after a decade or more. Although the Argentine expropriation of Repsol made major shock waves, the Argentine government under President Cristina Fernandez has portrayed it as a judicious and necessary gambit. Many other observers regardless of political affiliation have branded the move as a shallow populist one that will bring disaster to Argentina and environs. As the predictions of damage mount, there is more speculation that Fernandez’s action may bring down not only her own government but other regional governments as well. These predictions involve inevitably a peso devaluation that will set off a dollar-withdrawal frenzy in big regional banks. Real estate prices – radically inflated after a decade of monetary expansion – may well plunge. The results could affect large swaths of South America. Countries that could be affected include Uruguay, Brazil, Chile and Peru among others – all countries that have pursued moderate market-based policies and have benefitted from the South American industrial and monetary boom. Meanwhile, Repsol doesn’t seem apt to surrender. Here’s more from the article. YPF is “open to capital and the possibility of working together with public or private companies in Argentina or abroad,” Boudou said. Last week the Argentine president signed a bill expropriating 51% of YPF stock from Repsol, its majority shareholder, sealing a measure that has roiled the country’s trade ties with Europe. Cristina Fernandez has argued that the move was justified because Argentina faces sharp rises in its bill for imported oil, and Repsol has failed to make agreed investments needed to expand domestic production. In Madrid, a Repsol spokesman Tuesday said the company has warned its competitors that they will face legal action if they invest in YPF. “The idea is to protect the assets that were confiscated in Argentina until the situation is resolved in a satisfactory way for the parties that are involved,” the spokesman said. It is a grim name, though it has nevertheless brought hope of a better future for many in Argentina: Vaca Muerta – translated from the Spanish – means “Dead Cow”. Vaca Muerta’s barren landscape covers some 30,000 remote sq km of the Patagonian province of Neuquen, in the west of Argentina. Buried in 250-million-year-old rocks, almost 3km beneath the surface here, are some of the world’s largest reserves of shale oil and gas. But the presence of shale gas is proven, and it is clear that the reserves found here will make up a big proportion of the country’s estimated 22 trillion cubic-metre total. 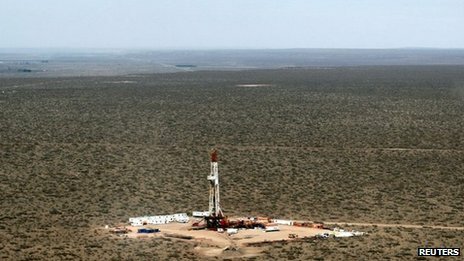 That makes Argentina the world’s number three in terms of shale gas reserves – hot on the heels of the US, which has reserves of some 24 trillion cubic metres, and China, which has reserves of some 36 trillion cubic metres, according to the American Energy Information Administration. Argentina’s government believes Repsol – which has been active here ever since it took over YPF when it was privatized during the 1990s – should have done this. The government has even accused Repsol of pulling YPF’s profits out of the country to finance its businesses abroad. So the government has stepped in to take control of what it sees as a vital, national asset. 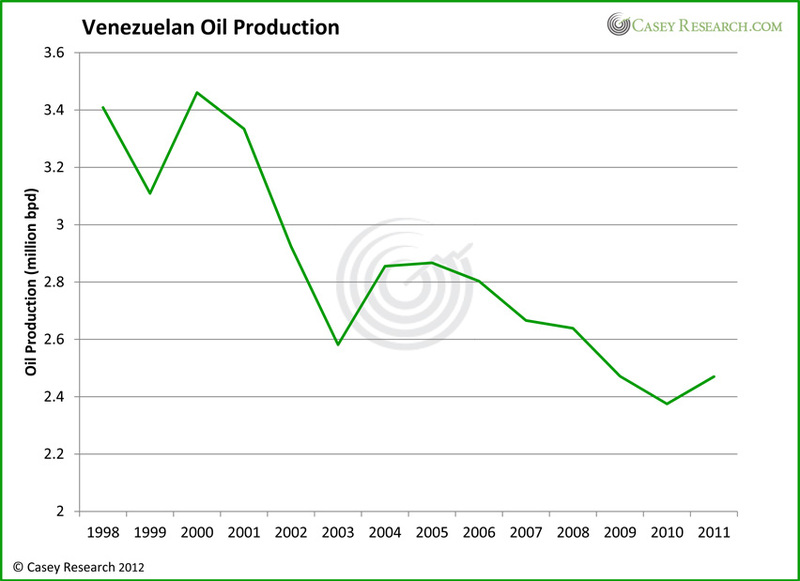 Renationalizing YPF has in effect helped the government regain control of the Vaca Muerta energy reserves, since the rights to exploit more than a third of the area were held by Repsol-YPF. Repsol and others believe the government was motivated by a desire to secure the country’s energy requirements for decades to come, and thus reduce its gas import bill which shot up to $10bn in 2011 and is expected to surge to $14bn this year. “This could help cope with between 30% and 40% of the gas demand within Argentina, which has been covered with costly imports in the last two years,” says Eduardo Barreiro, an energy consultant and a director at the Society of Petroleum Engineers in Argentina. “This is the real reason behind the renationalization of YPF,” he wrote in a column in the Argentine newspaper, Perfil. Argentina’s government might describe its move as a step towards self-reliance, which it believes is clearly in the nation’s interest. “Vaca Muerta could be a very important area in the future,” Mr Barreiro says. According to Repsol, more could be achieved with more investment. The firm insists that some $25bn per year would be needed to exploit Vaca Muerta’s shale oil and gas potential. This, the company believes, could double the Argentine production in 10 years. But Daniel Kokogian, a geologist who works as an advisor for several foreign energy companies in Argentina, said some companies would be concerned about how they might be treated in the future, following the renationalization of YPF. “What private investor would put money into a business where national interest will come first, then profits?” he asks. Others are far more optimistic about Argentina’s chances to attract foreign investors. The government says it has already had talks with energy giants such as Total of France and Petrobras of Brazil – and local energy analyst Victor Bronstein expects deals to be struck. “Oil companies are constantly operating in turbulent environments, in problematic countries,” he says. “Argentina is going to have to look for government-government relationships, particularly with China,” he says. “The main issue here is to determine if these estimated resources can actually be called reserves,” he said. “A resource becomes a reserve when it is proven that the investment can be recovered with an acceptable profit. In Vaca Muerta, I don’t think that has happened yet. “If this area was truly the main reason behind the nationalization of YPF, then Argentina may have shot itself in the foot over an unproven source of energy,” he adds. And if that turns out to be the case, the Argentine efforts to control “Dead Cow” could be a bit like flogging a dead horse.